The second of three Friday 13ths was definitely a lucky day. Near Noon, FedEx delivered the Chromebox Pixel 2015, which I set up late afternoon. Nearly 24 hours later, time is right for some immediate reactions before my eventual full review. My perspective presented here is two-fold: General first impressions for anyone combined with what are the benefits for existing Pixel owners. For many of the latter group, I say this: Consider your budget and needs wisely. What you've got may be more than good enough. For everyone else, I will contradict the majority of reviewers, and even Google. Pixel is not a computer for developers or limited number of laptop users. Anyone shopping for a quality notebook that will last years should consider the new Chromebook, most certainly if looking at any MacBook model or Windows PC, such as Surface Pro 3. Everyone living the Google lifestyle who can afford a laptop in this price range should consider nothing else. Now let's get to the drill down, point by point. There are 13, for no other reason than my receiving the laptop on the unluckiest day. 1. Contextual cloud computing caught up with Chromebook Pixel in the two years since the original's release. Productivity apps from Apple and Microsoft are available in a web browser, and Adobe offers Photoshop online. The argument against Pixel—that there aren't enough good apps, particularly legacy ones—is pretty much pointless. 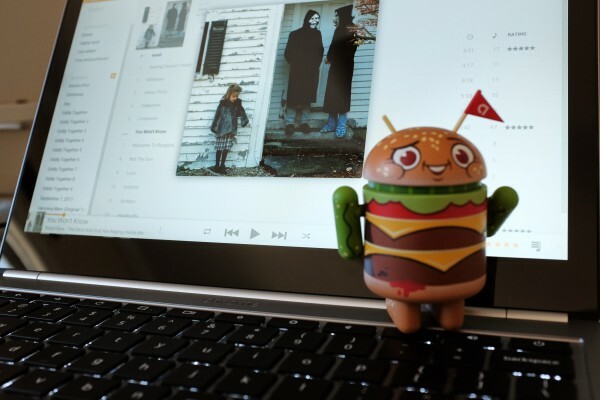 Google also provides full fidelity for anyone needing to open or edit documents saved in Microsoft file formats, and some Android apps are available for Chrome OS. Additionally, persistent connectivity is no longer required, because many webapps can be used offline. 2. Google lived up to its promise. Among the most-important premises about Chrome OS: Ongoing new releases, coming about every 6 to 8 weeks, will add features, improve performance, and extend existing hardware's value. Google delivers, and every Chromebook I have used, not just Pixel, improves with age. As such, the touchscreen laptop is an investment that will deliver rewards for years—which most certainly is true of the 2013 model (See #12 for more about that). 3. The new Pixel is future proof. Keeping with the improving age concept, Google provides hardware with lots of headroom for growth. The touchscreen, microprocessor choices, amount of RAM, and USB-C ports are part of a package that won't fall behind other Chromebooks or even competing computers from Apple or Windows OEMs. Two models are available, both for less than the original. For $999: 12.85-inch touchscreen, 2560 x 1700 resolution, 239 pixels per inch, 400-nit brightness; 2.2GHz Intel Core i5 processor; 8GB RAM; 32GB flash storage; Intel HD graphics 5500; backlit keyboard; glass touchpad; Bluetooth 4; WiFi AC; two USB Type-C ports; two USB 3.0 ports; SD Card slot; and, of course, Chrome OS. The $1,299 model doubles RAM and storage and swaps the processor for 2.4GHz i7. 4. For all the hardware praise, one feature falls short. The WebCam should be 1080p, for future proofing and considering Google's investment in services Hangouts and YouTube. With some smartphone's shipping with 4K-capable video capture, Google's Nexus 6 among them, I expect better WebCam than this. Also, if the search and information intends this laptop to be a reference design for developers, video shooting shouldn't be limited to 720p. 5. Feature for feature, the new Chromebook Pixel matches or outclasses every Apple laptop in the 11-13-inch display size and price range: Air, MacBook, or Pro. Screen resolution is higher, pixel density is greater, and brightness is much more. Then there is the touchscreen, which utility shatters Apple marketing hype about its trackpad's capabilities. I say this: The fruit-logo company doesn't offer touchscreen notebooks for reasons other than apologists or even executives might claim. Shipping the standard Retina display boosts Apple profit margins; claims about lacking consumer interest is an excuse. I will assess other features, and corresponding benefits, in my full review. But what I affirmed with the original Pixel is even truer two years later: Any creatives considering MacBook Pro should evaluate the high-end Chromebook first. MPB starts at $1,299, same as the Pixel I type this post on. 6. The keyboard isn't just great, it's exceptional. I don't know what is different between the Pixel keyboards, but my fingers feel fantastic typing. As a writer, I can't recommend the new Chromebook enough, and that would be from a few minutes use. 7. The trackpad is better, too. The original Pixel already excels, but the successor's trackpad responds so smoothly it feels like an extension of my fingers. Coupled with the new processor and increased memory, response is almost too much. The screen tends to occasionally overscroll, based on my muscle memory habits. Goddamn, this thing is finger-friendly. Take your pick which way is better: Keyboard, touchpad, or touchscreen. 8. Color gamut really is improved. While waiting for my Pixel to arrive, I broke with form. I typically don't read reviews before writing my own. But being excited about the computer and frustrated by Google giving no advance notice (hey, I write about these things professionally), I gorged shamelessly. One point repeatedly mentioned, citing Google: Better sRGB gamut. I didn't think much about it until watching The Blacklist last night from Hulu. Flesh tones were immediately and noticeably more accurate than using the original Pixel. 9. Audio is punchier, with heavier bass. I use Harmon Kardon SoundSticks plugged into the 3.5mm jack. Two differences are immediately apparent. I don't need to crank up the volume as high, and the low tones are much stronger streaming from Google Music. Meaning: Bass is heavier. I need to test with my Grado Labs RS1e headphones to truly evaluate the differences and how they affect the whole range. 10. LTE is gone. Both 2015 Chromebook Pixels are WiFi-only. If you want cellular connectivity, cell phone is required. 11. The 1TB Google Drive offer isn't available for everyone. Supposedly each new Pixel comes with the massive storage option for three years. I couldn't redeem and phoned Google support, after getting an error for overly-long online chat wait. According to the tech specialist, I am ineligible for free Drive—as you may be. As best expressed in support docs: "The same Google Account can't redeem a Drive Offer more than once". You could share with another account, by logging in from the Chromebook and redeeming. My 1TB original offer, from a past Pixel, expires in February 2016. I had hoped to extend for another three years. That won't happen without a Google policy change, which I don't expect to be. 12. Chromebook Pixel 2013 owners should beware. The majority of benefits between the two generations are incremental. For anyone wanting longer battery life—real-world 4 hours for the old compared to perhaps 10 (I'm still testing and can't give final, consistent number)—the new model easily satisfies. WiFi AC, more RAM, and faster processors are potential benefits. Bur as stated in #2, because of Chrome OS improvements, the original Pixel is better today than when released in February 2013; with two-dozen browser tabs open, I find performance to be still speedy and lag-free. That said, the new model definitely feels smoother. But is it $999 or $1,299 better? The answer for some people will be different for others. 13. Before buying a lesser Chromebook, everyone should look for a used Pixel first—if not the new one. Google substantially reduced the new Pixel's price compared to the older one, by 24 percent and 10 percent (from $1,299 and $1,449, respectively). Sub-$1,000, the i5 Pixel is helluva attractive new laptop. If that's too much for your budget, before buying a lesser Chromebook look for the original first. Surely someone with either of the 2013 models will upgrade to the successor(s). For example, yesterday, in my Google+ feed, someone offered the original high-end LTE model for $625 with free shipping. That's a damn good bargain. Aside from battery life, no currently available Chromebook comes close to the 2013 Pixel, by measures that matter—IPS display clarity and brightness, touch-capabilities, keyboard, microprocessor, or build quality. Five hundred, or even $600, is a steal.